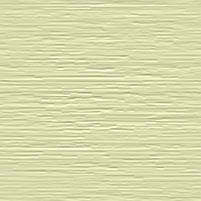 Over the next few weeks there will be some more updates to to site. Sleek, Stunning, Beautiful, These are just some of the things I have heard these boats called. I hope to have a history of Black Country Narrowboats some time in Oct This will also detail why the Tugs are no longer Built. Its is hoped at a later date to set up an owners club. 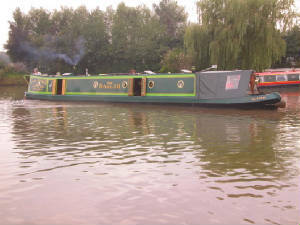 Fleur is a forty six foot traditional style narrowboat built by Black Country Narrowboats in 1992. 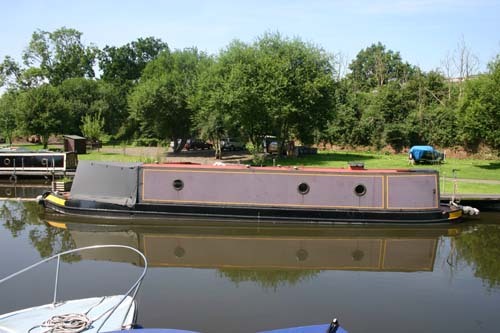 In 1989 the commercial narrow-boat tug, THOMAS COVENANT was launched. Although originally intended as a cruising home, the need for work coupled with his early training and interest in electronics, saw the rapid formation of Crosby Canal Towage, which later traded as Battery-Management.com. The first few years were spent doing little towage work but a fair bit of travelling as the boat travelled from job to job providing electrical repair and installation services. Over the years CCT specialised in the installation of battery charging systems and branched into design and installation for emergency services vehicles.